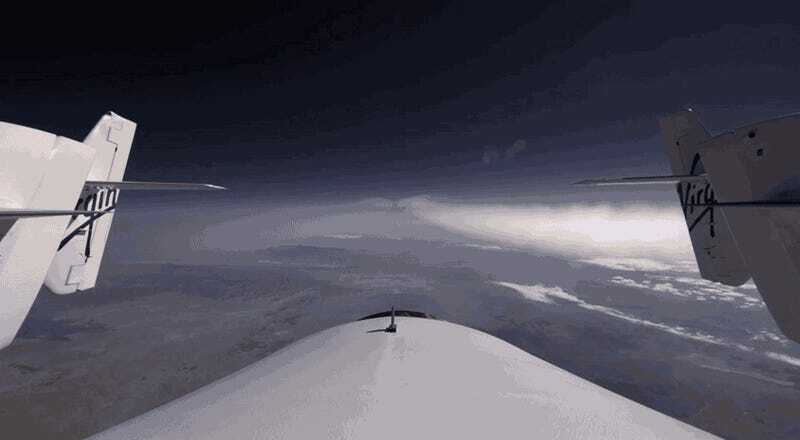 Yesterday afternoon, Virgin Galactic successfully completed the second rocket-powered test flight of its SpaceShipTwo spacecraft. Here now is the footage from the test flight – as shot from the SS2's engine. Awesome. But Richard Branson, if you're reading this, a word of advice: next time you arrange for the filming of a test flight, go ahead and stick a high-quality microphone up there with the camera. The flight commentary is cool and all, but this kind of footage is even more thrilling with the sound of rockets roaring in your ears.